U.S. District Judge Nicholas Garaufis, who serves in the Eastern District of New York, told a Justice Department attorney not to come to court “to espouse a position that is heartless” during a September hearing in a legal battle over the Trump administration’s decision to end DACA, a program that protects from deportation people who are in the country illegally and were brought here as children. The comments Sessions made during the Heritage Foundation’s Legal Strategy Forum on Thursday were part of a larger conservative complaint that judges too often step into roles meant for the legislative or executive branch, but come with the added context of high-profile feuds between members of the Trump administration and judges who have ruled against its policies. Sessions on Thursday specifically called out district court judges who issue nationwide injunctions in cases involving federal action, as has happened multiple times with President Donald Trump’s executive orders blocking immigration from various countries. 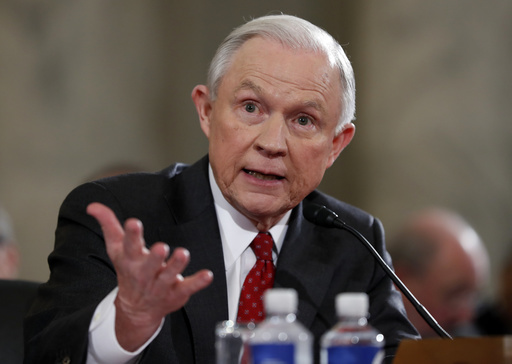 Sessions said injunctions like these make judges “super-legislators for the entire United States” and violate the separation of powers doctrine. In April, Sessions criticized federal judge in Hawaii for blocking a version of Trump’s executive order banning people from six Muslim majority countries from entering the United States, wondering how “a judge sitting on an island in the Pacific” could block the order. The Senate approved Trump’s nominee to the U.S. District Court for the Western District of Oklahoma on Thursday and Senate Majority Leader Mitch McConnell, R-Ky., has taken steps to clear four federal appeals court nominees in the next week.